Ditch the printer, scanner, and fax. SignNow cuts document turnaround time by as much as 90%. Get legally binding signatures from your customer, partners, and employees in seconds using any device. You will save countless hours, get deals done faster, and help the environment. With SignNow, you never need to search for a paper agreement again. Your documents are stored in a secure cloud. SignNow gives you control over your document workflows and lets you easily integrate signed documents with other electronic systems. 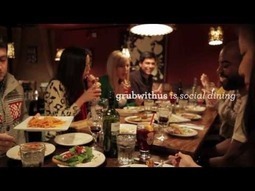 Grubwithus is a social network for connecting real people in the real world over really good food. 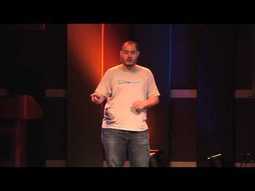 Pioneering the "in real life" movement, Grubwithus aims to take your online social networks back offline. Burner is a privacy layer for your phone, providing alias phone numbers at the push of a button. Fast, safe, and totally private - get Burner numbers as often as you need them, and get as many as you want. Honey is a browser plugin that makes sure you are getting the best possible deal when you shop online. It places a non-intrusive "Find savings" button in the checkout page at hundreds of online shops. Simply click this button and Honey will automatically find and apply the coupons for you. Spindle helps you discover the most interesting and relevant updates from nearby shops, restaurants, bars, event venues, parks, museums and galleries, community organizations, and other businesses and attractions. 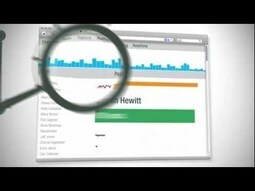 A platform that enables companies to collect marketing analytics as well as rich data off the phone calls they receive. Cloudamize provides optimization and planning tools to help companies manage the Cloud efficiently providing significant savings on related operating expenditures. Through Cloudamize, businesses can right-size and plan their Cloud infrastructure to increase their Cloud ROI while meeting their usage requirements. The SaaS solution performs real-time monitoring and analysis of Cloud usage data including key operations areas such as cloud spending, performance, security, and availability and more and provides actionable recommendations. With Cloudamize, companies can finally gain control of their Cloud. SwimTopia - swim team management app. SwimTopia is the world's friendliest web-based swim team management solution. 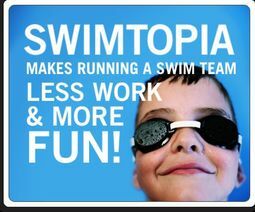 Loved by coaches and parents alike, SwimTopia makes running a swim team less work and more fun! ZenKars is committed to helping car buyers by saving you money and creating a better buying experience. We have developed a unique business model and built partnerships with fleet management, financing and warranty companies for this effort. 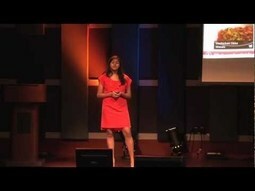 We are a Philadelphia-based technology company started by two Wharton graduates. Our team has an excellent mix of automotive and engineering experience. Visit www.zenkars.com to learn more! Weesh is an iphone app for you and your loved one discover your next date night. So you can have a place to write down all of those things you've always wanted to do together and get ideas for new things. We want to Thank to our amazing team that was in charge on this beautiful video clip: Eliran Elia (director), Yoav Arzi (editor), Tamir Lempart (photographer), Lior Blaus & Tomer Shoov (actors) and Sasha Nassar (Art director). Betterific - Share and Discover great ideas to make products better. Betterific is your digital suggestion box to submit these Betterifs and rally behind others. Join a movement of smart, creative, passionate people that have a vision to make things better. Tembo's Pangea Safari is a positive impact game about the fragility, resilience and interdependence of species. Players create and protect thriving ecosystems, striving to prevent extinction. The Pangea platform is completely customizable. It can be extended, custom-branded, populated with any number of species, and more. mor.sl is an integrated recipe recommendations and grocery delivery platform. We've developed a smart algorithm to learn users' tastes, allergies and cooking skill level and recommend recipes/menus that will work for them. Users can then click a button and have the ingredients for those recipes delivered to their door. No more last-minute grocery runs, tedious list making, or default greasy take-out; just delicious, doable cooking at your fingertips. 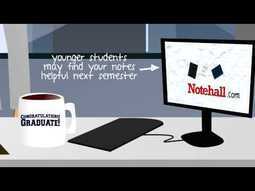 Thank you for checking out Notehall. We strive to fulfill our mission of bringing classmates together in a virtual setting in hopes of enhancing the overall academic success of college students nationwide. We aim to facilitate student success through applications that allow academic interaction among peers and the opportunity to seek supplemental materials for thorough comprehension of all required subject matters. We are also dedicated to ensuring an equal playing field for all students to make the most of their academic career by providing a forum accessible to all students for the free exchange of intellectual dialogue and information. Mine is a quick and easy service for telling people when you buy something. Post your item's official picture, store and link; control who you share with; and build your online catalog of purchases. At Docracy, our mission is to provide resources that take the fear and mystery out of legal agreements. The first version of Docracy was created at an all-night TechCrunch hackathon. It was started as a reaction to the problems Matt and John had finding reasonable documents when running their previous business. After discovering others were having the same problem, they began working on it full time with the backing of First Round Capital, Vaizra Seed Fund, Quotidian Ventures and Rick Webb. 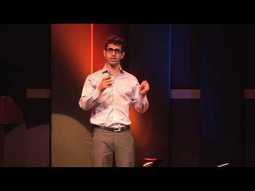 RelayRides is revolutionizing personal mobility. But to do it right, we need the help of great people like you! We're a marketplace where car owners can list their vehicles, and those that need a ride can rent one by the hour or day. RelayRides first went live in June 2010, and we moved our HQ to San Francisco that following December. Since then we've been growing like crazy, adding all sorts of great car owners and renters. So what are you waiting for? Sign up today to join our fantastic marketplace! Everyone likes saving money, but with your daily deals, gift cards, coupons and everything else, keeping track can get a little out of hand. All these savings can add up to a lot of cabbage and if you’re like most of us, it’s all in danger of getting lost in the shuffle. So why isn’t there a single place to take care of it all? Now there is. Introducing MyCabbage, a place where you can store and share all your savings opportunities – from daily deals to gift cards to coupons and more. When you put all your cabbage in one place, you breathe new life into saving. Sign up today and get it together! Dash, Parse.ly's flagship product, is purpose-built to meet the unique needs of online publishers. Dash analyzes content at massive scale to produce insights that help publishers optimize content performance on their site and across the Web. We're excited you're here! We've literally been working for years to make Flazingo the best solution available in the world that makes hiring clear, simple and affordable to enable employers to hire with confidence. And we're very happy to say that we're almost done! It's so close that you can taste it! Please sign up at the top right of this page to know when we're ready. Until then, watch our video and spread the word that hiring revolution is almost upon us! In September 2011, Princeton student Josh Miller and NYU student Hursh Agrawal each took a leave of absence from their universities and teamed up with Cemre Güngör to found a company called Roundtable. The trio bootstrapped the company from New York City for four months, eventually moving to San Francisco in January 2012 to build the product with guidance from Obvious Corp.’s Evan Williams, Biz Stone and Jason Goldman. In May, the company — now called Branch — returned to New York City and is currently a team of eight, whose mission is to empower people to talk about the world around them. http://QUOTE.fm is the best way to discover, read and share great stories that have the power to convey ideas, provoke emotions or change your entire life. It's all about stories truly worth reading. Using your smartphone´s GPS technology, DateMeNow scans your area for interesting singles whether you´re at home, at work or on the go. Discover and chat with new people around you instantly in real-time. Finding the perfect date has never been quicker or easier! WegoWise is the simplest, most powerful way to understand the performance of your entire portfolio. The beautiful, intuitive visualizations will give you an entirely new level of understanding about your properties. WegoWise does all the advanced analysis in the background based on your buildings' physical characteristics and utility data (which is collected automatically). What you see are answers to some of the questions you really care about. You don't need to be an expert to get the most out of WegoWise; but if you are an expert, we've got advanced tools to help you, too. With the functional attributes of the new Lytro camera well documented, the time had come to show off how the Lytro works in a more emotional manner. Story Developing was founded in 2011 by Ryan Lynch and Matthew Walker. Having spent his career in advertising as an Account Planner (strategist), Lynch saw an opportunity to team with Director/Producer/College Friend Walker to produce "strategy driven, beautiful brand stories." Lettuce is a simple order management system with a mobile sales app enabling your business to capture, track, and process orders anywhere in real time. We primarily focus on small and medium sized businesses. TheBrain moves beyond linear folders and lists. You don't have to force any idea or project into a single folder. 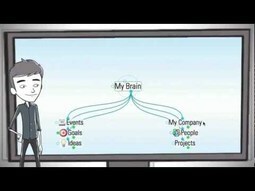 With TheBrain you can connect things to anything else. And there's no limit to the amount of stuff you can add to your Brain. You can literally create your digital memory for anything and everything. As your Brain grows you can find and discover the important details that would otherwise be forgotten. Your Brain can also be synchronized across multiple machines and accessed on the cloud.